Talk about a soaring celebration! The Phantom of the Opera officially marks 30 years on the Great White Way on January 26. As previously announced, the celebration will take place with a special gala performance at the Majestic Theatre on January 24, and there are a number of festivities going on throughout the week. On January 24, stars Peter Jöback, Ali Ewoldt and Rodney Ingram began their busy day with a breathtaking view from the top of the Empire State Building. 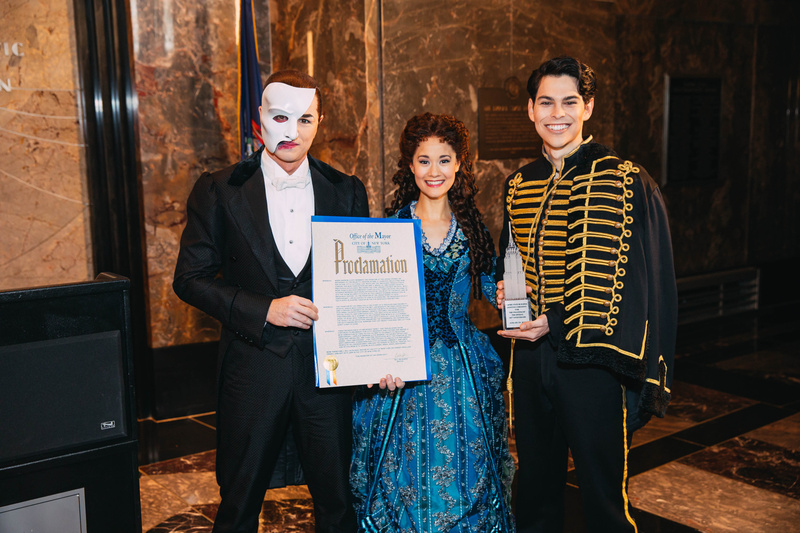 The three participated in a ceremonial lighting of the New York City landmark, and Julie Menin, commissioner of the Mayor's Office of Media and Entertainment, presented the stars with a proclamation, deeming January 24 The Phantom of the Opera Day. Of course, every day is Phantom of the Opera Day for us Phans! Check out the incredible photos, and celebrate the Andrew Lloyd Webber classic all week long. To 30 more years of enchanting audiences! Peter Jöback, Ali Ewoldt and Rodney Ingram are all smiles with their proclamation deeming January 24 The Phantom of the Opera Day. 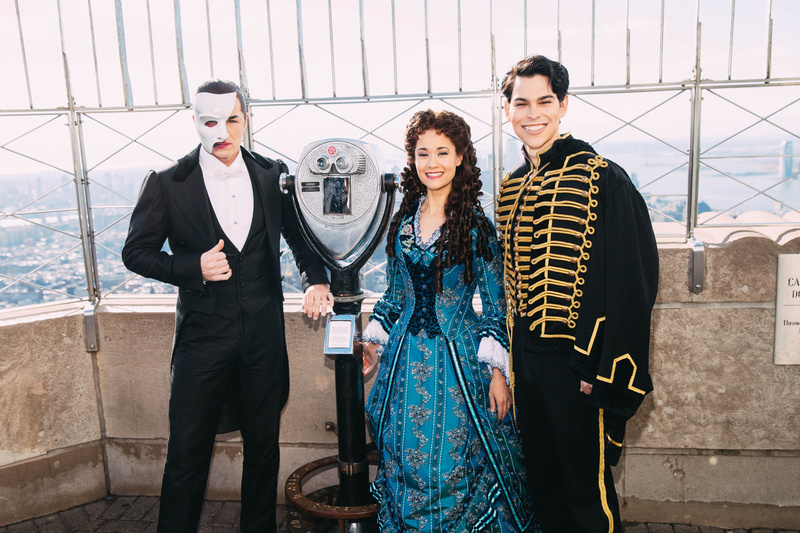 The Phantom of the Opera's Peter Jöback, Ali Ewoldt and Rodney Ingram pose on top of the Empire State Building. Catch them in the soaring musical at the Majestic Theatre!